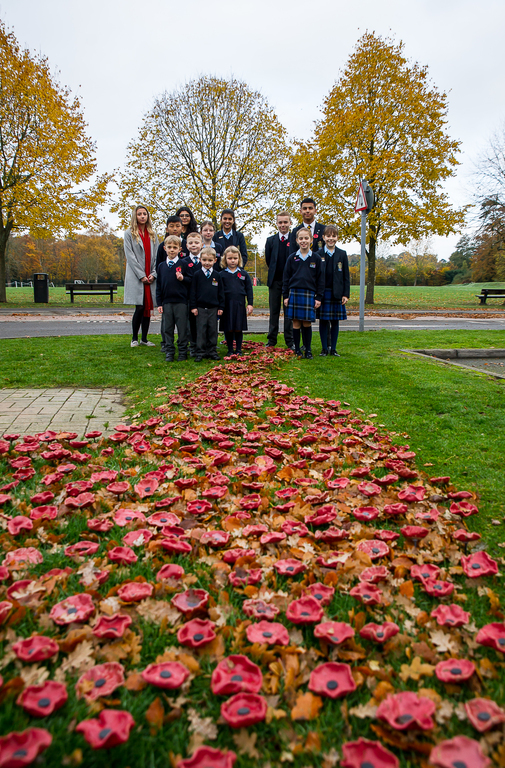 The result was a sea of over 800 painted poppies of which the final ones were planted on Friday 9th November by a student from every class from Reception to Year 13 (Video). 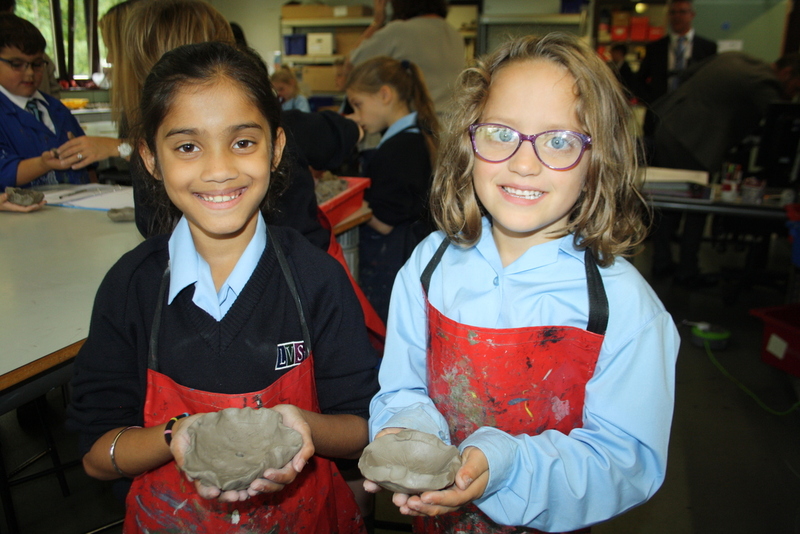 The poppy operation began in September as class by class every student had a session creating their own individual tribute to remember fallen soldiers, with their poppies then being fired and glazed (Video). An individual number on each poppy means that the poppies can be returned to students to take home as a keepsake. All students at the school came together on Friday in The Street, the school’s covered outdoor area, to pay their respects at a special Remembrance Day service, which was marked by a two minute silence and a beautiful rendition of the last post played by Year 11 student Hector Earnshaw on his trumpet (Video). Commemorations are continuing this week as students prepare to star in a new play called All Our Children which is an entirely original production created within the school. The play has been written by LVS Ascot Head of Drama Georgina Windsor, with the musical score written by a Year 11 student. The young actors will captivate up to 250 people a night in their professional theatre as the show follows the lives of three orphaned brothers and the paths they travel through 1914 – 1918. Students will perform the play on the evenings of Thursday 15th to Saturday 17th November.